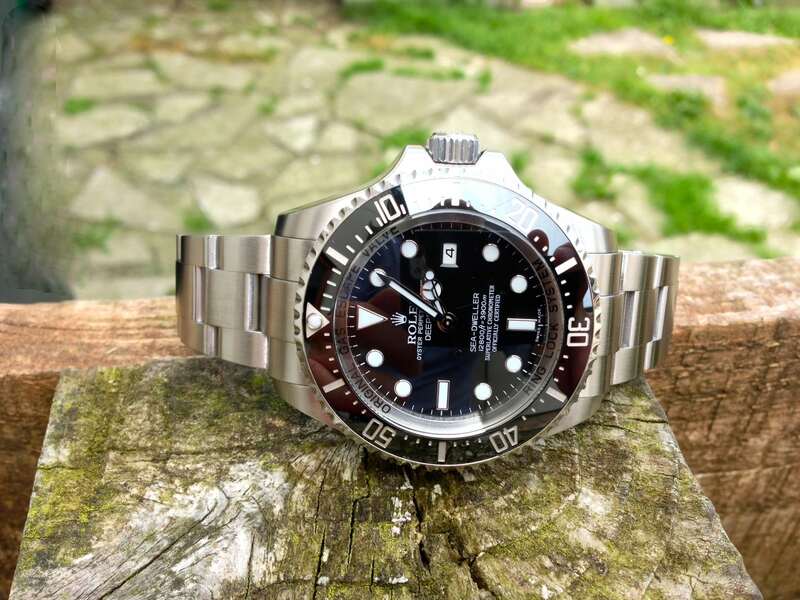 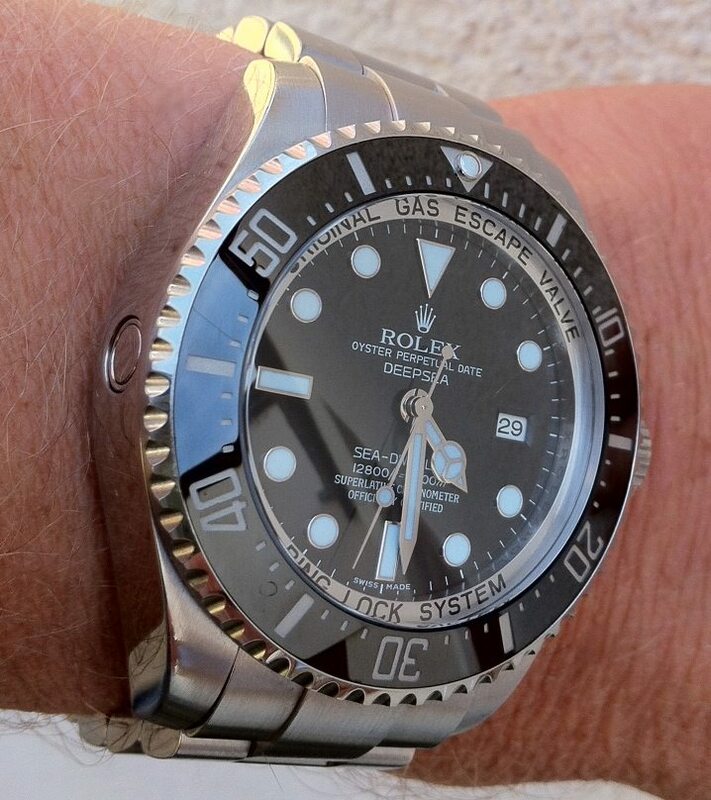 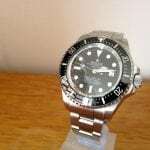 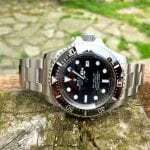 With the introduction of Rolex,s new bigger!! 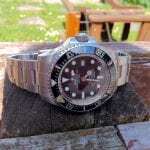 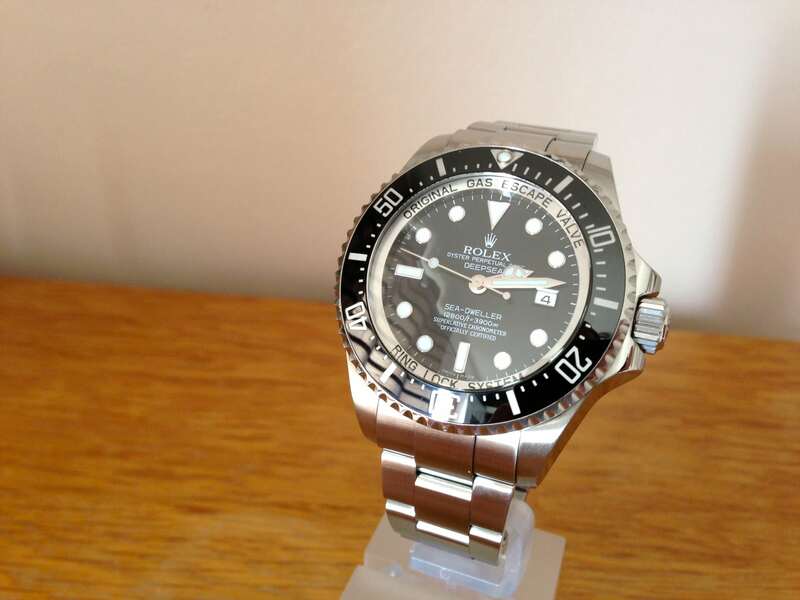 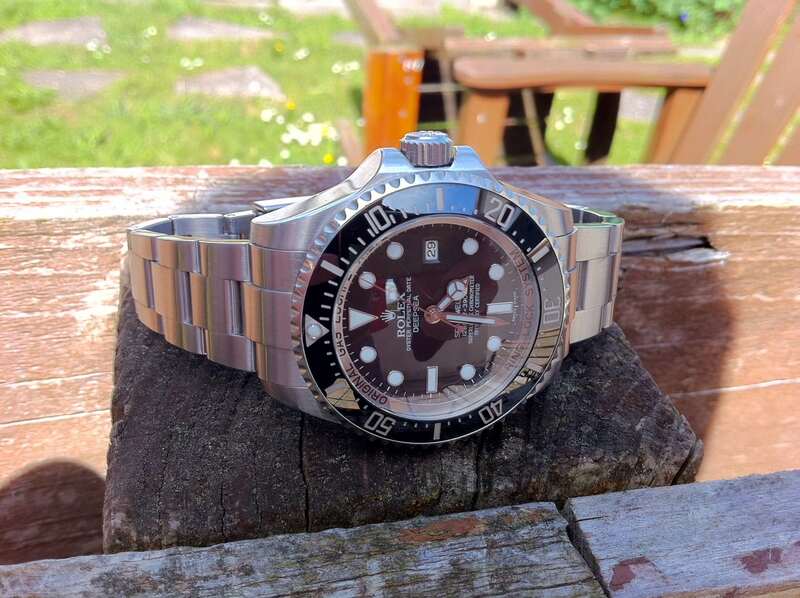 sea dweller the ( Deepsea,) Rolex are without doubt the undisputed leaders by developing this much larger 43mm divers watch. 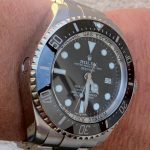 Waterproof to an awesome depth of 3,900m or 12,800 ft, and fitted with the new Ringlock System with a thick domed sapphire crystal glass, helium escape valve and titanium alloy case back. 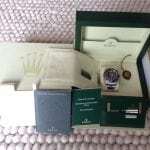 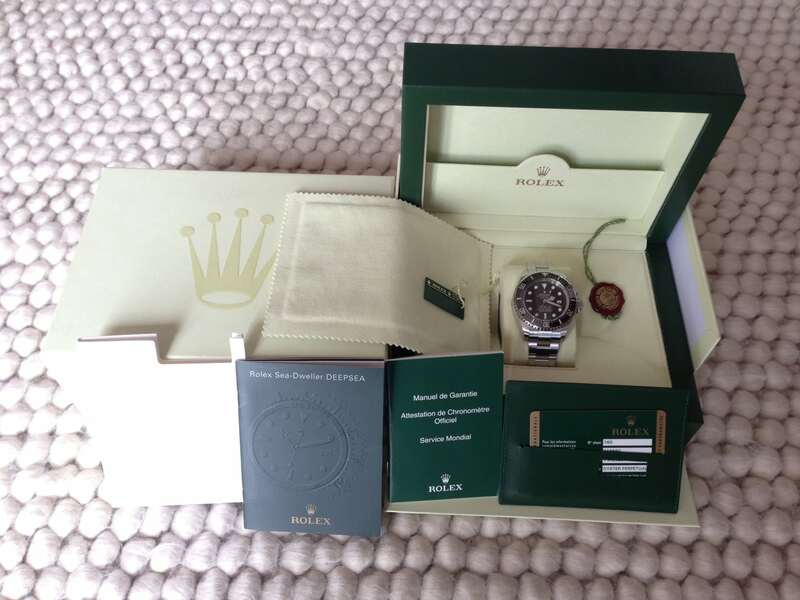 the new model also has the benefit of the latest Oyster Fliplock bracelet and Glidelock clasp, our watch was supplied new in oct 2009 by goldsmiths,complete with full set of Rolex box and papers from new.